Municipality responds to 'silent intifada' from the air, with new unit to locate riots and attacks which have exploded recently. As part of its countermeasures to deal with the "silent intifada" of Arab terror gripping the capital, the Jerusalem Municipality last week launched an aerial surveillance unit to aid the police and enforcement officials in their struggle against Arab violence. 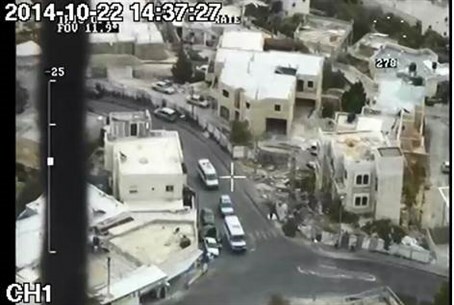 The Municipality explained that the new unit will provide real-time intelligence information to aid forces working in eastern Jerusalem to locate rioters, massive mobs, protests, rock and molotov cocktail throwing, firework shooting and all the rest of the attacks that have plagued the city of late. The balloons are also to be used in locating the wounded, identifying illegal construction, infractions of business licensing and waste management, food trafficking and other crimes. This secondary application to locate illegal building may strike some as funny, given that there are over 40,000 illegal Arab housing units in Jerusalem, with 8,000 new units being built every year according to Jerusalem Councilman Arieh King, who last month revealed a paltry 14 illegal Arab units had been demolished since the start of the year. Jerusalem Mayor Nir Barkat initiated the new aerial unit, which will employ five surveillance balloons along the Arab-majority neighborhoods that are located adjacent to Jewish neighborhoods where the majority of the recent violence has occurred. 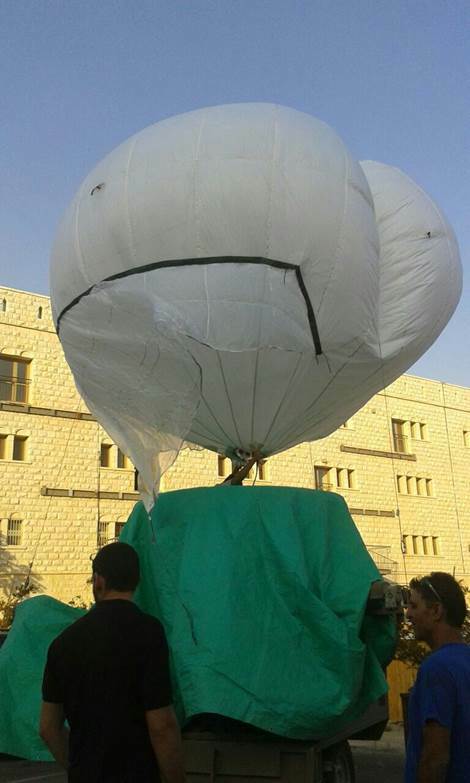 The balloons will be operated by seasoned surveillance officers with IDF experience in the field, and in future stages additional surveillance means are expected to be added to the Municipality's arsenal. "As I have said for months, the situation in Jerusalem is insufferable and we must act clearly and sharply against the phenomenon of violence in the city," said Barkat. In fact, Barkat just this month called for action against the terror in Jerusalem, after trying to hush up the terror as recently as late last month. According to the mayor, the new unit "will be the front operational arm of the Municipality and will give us the possibility to give a response and aid in real time to the police and security forces, and to enforce the law and order in the city, and locate crimes quickly and effectively." Police have complained recently that their "hands are tied" due to orders from above in dealing with the terrorism, which Palestinian Authority (PA) Chairman Mahmoud encouraged two weeks ago in an uncannily similar manner to former PA Chairman Yasser Arafat's call for the Second Intifada in 2000.